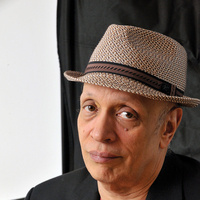 Walter Mosley will be in conversation with Paul Coates, founder of Black Classic Press. John Woman recounts the transformation of an unassuming boy named Cornelius Jones into John Woman, an unconventional history professor—while the legacy of a hideous crime lurks in the shadows. John Woman is a compulsively readable, deliciously unexpected novel about the way we tell stories, and whether the stories we tell have the power to change the world. Such an interesting person, and a real professional. Thanks for bringing him in to talk.